Ideal to solve all your storage needs and add a touch of charm in any room of your home comes this delightful Mahogany chest of drawers. Featuring 1 large drawer and 3 smaller ones, this chest of drawers is ideal to provide storage for a variety of clothing pieces. 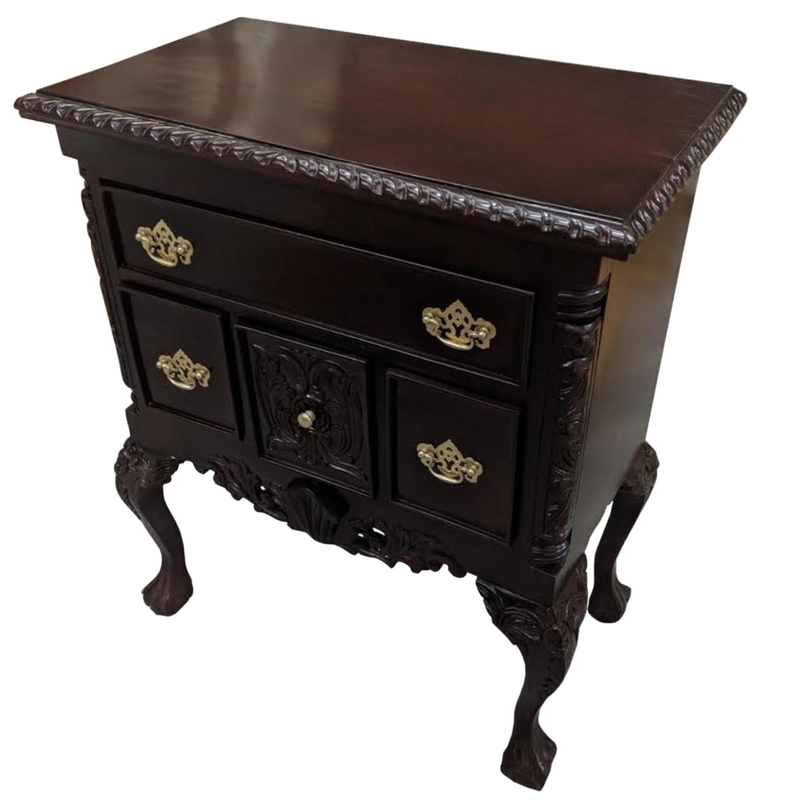 Handcrafted and carefully built by experts this beautiful French style chest with ornate detailing will compliment any shabby chic of French decor design theme.